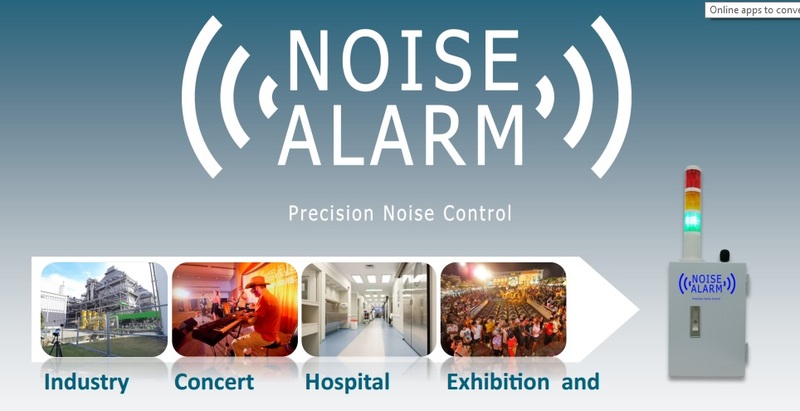 Noise Alarm is an easy to install and easy to use instrument to protect humans from exposure to high noise levels. The Noise Alarm is flexible so the noise levels for GREEN, ORANGE and RED lights can be easily set by the user. In a factory the RED value would typically be 85 dB(A), in an office 55 d B(A) and in a hospital recovery room 35 dB(A). Noise induced hearing loss is the most common cause of hearing loss and is 100% preventable, Noise Alarm is a welcome aid !